Critically acclaimed filmmaker Beth Harrington will be honored with a Lifetime Achievement award from the Clark County Arts Commission at 6 p.m. Feb. 5 in the county council chambers. Harrington initially planned a career as a DJ, but lucky for the world, that didn’t happen. In the early 1970s when it was clear becoming a DJ was out, fate stepped in allowing the 22-year-old’s love of music, culture, American history, and the essence of the human spirit to ignite an exciting and passion-filled journey. Her rock band experience evolved into storytelling as an independent producer, director, and writer of documentaries and historical films. Harrington’s work is leaving its mark locally, nationally, and abroad, and she has no plans to stop any time soon. Out of Syracuse University in the early 1980s with a Bachelor’s in Public Communications, Harrington was working as a script writer for an audio visual company when she was asked by a mutual friend at the “11th hour” to join Jonathan Richman and the Modern Lovers on the Warner Bros. Sire Records label after one of the two female singers was fired. That year with the band turned into three years of creative life-sustaining music, good friends, and an experience that would help shape Harrington’s filmmaking future. 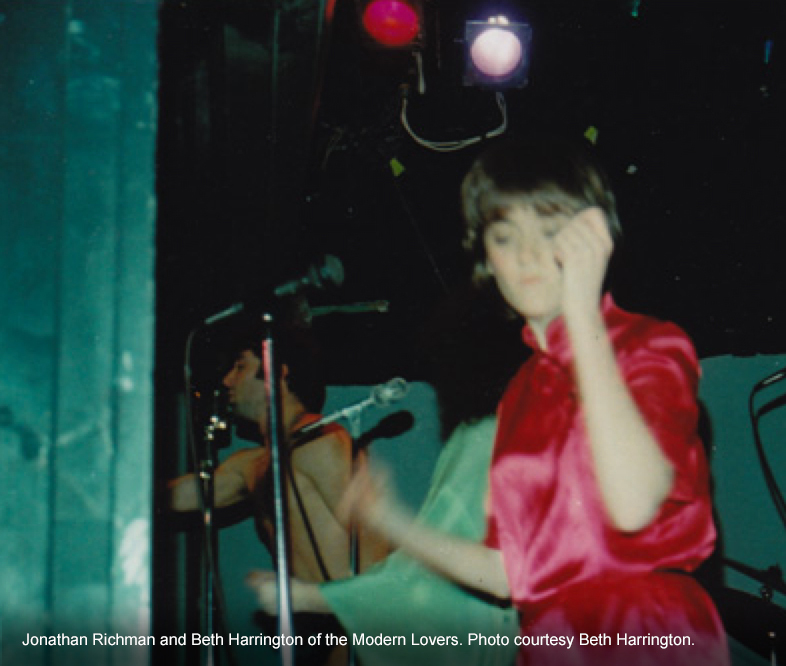 Harrington’s time in Richman’s band also influenced how other people began to perceive her. “All of a sudden my profile elevated,” she said. The personal growth she gained from being in the band meant elevated courage for Harrington. After the band, she began to take her journalist background, scriptwriting, and love of history and music more deeply into documentary and education pursuits. She began to market herself and her array of skills. By the early 1990s, Harrington started joining associations, including Women in Film, and gained notable experience through her association with Boston’s Documentary Guild and WGBH where she served as a line producer and associate producer on various shows for PBS, including NOVA and Frontline. These shows received awards, including a Peabody and two national Emmy nominations. It was her work on one of NOVA’s documentaries that led her to meet and marry the love of her life, Andy Lockhart, a young Volcanologist, and become a Vancouver resident. Her fascination with urban rituals led to a trilogy of documentaries, new friendships, and renewed inspiration. Harrington has also made history shows for OPB, including her recent 30-minute episode of “Oregon Experience” exploring Fort Vancouver, and is still active in various film communities. Her recent pilot episode of the digital series, The Musicianer, an Americana music-driven narrative project with a supernatural bent, had its debut at The Kiggins Theatre on Sunday, Jan. 27 to a full house. Her hope is that enough money can be generated to continue the series. Harrington is still brimming with ideas. She has a new project in the works that focuses on David Greenberger an American artist, writer, radio commentator and friend from her Boston days known for his Duplex Planet series of zines, comic books, CDs, spoken word performances, and radio plays. “Creating independent documentaries is a labor of love,” she said.